The Nintendo Virtual Boy (check out our Beginner’s Guide) had one of the shortest retail lifespan in console history. In Japan it was released in July 1995 and discontinued before the end of the year. North America wasn’t much of a different story. Ramping up in August of 1995 and wrapping up by March of 1996. Because of this, there was not only a small game libary, but may of the late releases were seen in very short supply. 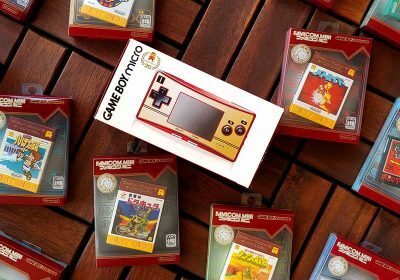 Combine the relative rarity of certain titles with the novelty of the system and many entries in the Virtual Boy make for interesting collectors pieces. 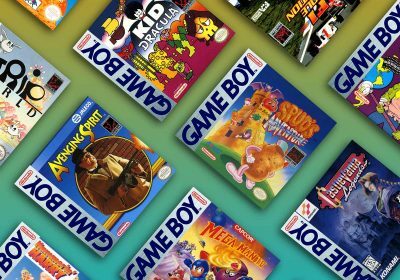 In stark contrast to the Cheapest Games series, this Rare & Valuable series will round up the rarest and most valuable games for a given console or handheld so you’ll know what to look for whether you are buying or selling. Below you will see two prices beside each title. The first is the average daily selling price, which is typically the going rate for the game by itself. The second price is the highest price in the past three months which is usually the price for the new/sealed game. Note: This posted was updated in August 2013 after a sale of the “Big 4” import games shown below. Not to be mistaken for Nester’s Funky Bowling, which is much more common., Virtual Bowling is actually a true rarity and a decent bowling sim, offering practice and tournament modes. The lack of a save battery means your scores are wiped when you switch off (passwords for resuming are available). Virtual Bowling (and SD Gundam Dimension Wars, which is mentioned below) were the final official Japanese releases for the Virtual Boy. 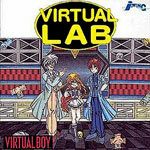 One of the last Virtual Boy games to be released in Japan, Virtual Lab is a strange falling block puzzler that was supposedly still under development when developer J-Wing got wind of Nintendo’s plan to discontinue the Virtual Boy. To make some return on their investment, they were said to have rushed the game out the door. The fact ‘Nintendo’ is charmingly spelt ‘Nintenndo’ on the back of the box in addition to the fact that it is considered the worst Virtual Boy game ever released only adds to the rush-job legend. 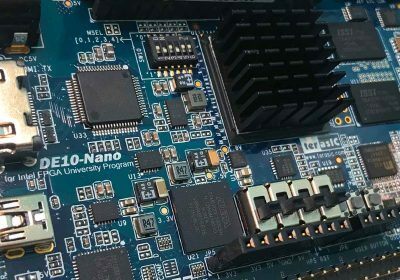 Virtual Lab has been more elusive than Virtual Bowling over the years, but in recent sale on eBay (same seller and buyer as these other “Big 4” imports), Virtual Bowling earned more of a return. 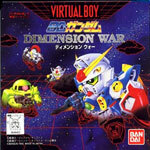 SD Gundam Dimension War was released exclusively in Japan by Bandai in 1995 (as mentioned above it was one of the two final official Japanese releases for the Virtual Boy). The game’s small print run and exclusivity has kept the demand strong. SD Gundam Dimension War strategy format is similar to that of Advance Wars on the Game Boy Advance, commanding troops on a grid based battlefield, however, the Virtual Boy title has you fighting out the one on one battles yourself. Between the rarity of the cart, the Japanese exclusivity, the cultural appeal of Space Invaders, and some quality gameplay modes, the Space Invaders Virtual Collection makes for a wonderful collectors piece. It isn’t quite as rare as the titles above, but it is still a treasured piece of any Virtual Boy collection. 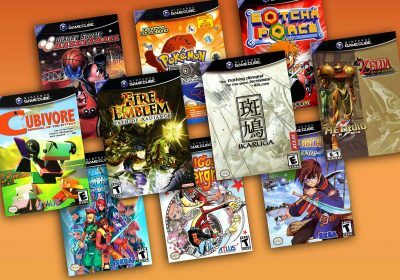 Altus is known for making quality titles and having relatively small print runs. The case is no different for their release of Jack Bros. for the Virtual Boy. This action title is actually a spin-off of the Megami Tensei series and marks the first of the series to be translated to English. If you were old enough in the mid-90s, you might remember that Waterworld was a heavily hyped, but disappointing theatrical release. This licensed game based on the movie came out in late 1995 as the Virtual Boy was dying off. (only Nester’s Funky Bowling and 3D Tetris were released in the US afterwards). It represented the final third-party Virtual Boy release in North America. While the original Wario Land is a quality title, it isn’t that rare. However, if you can get your hands on the Store Demo version, you could be sitting on some serious cash. Just look for a label that says “Not for Resale – Demo Only” in red letters on a white bar across the top of the label. Hopefully, this small difference won’t spawn counterfiet labels. 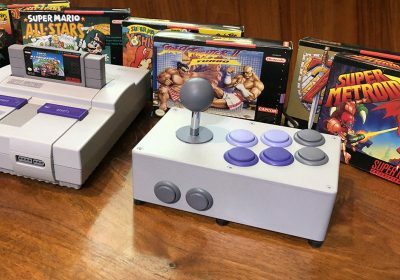 If you see a bunch of these showing up on eBay, beware. While the Not for Resale Demo carts don’t come with a box, the Mario Tennis game for the Virtual Boy is only valuable if you have the display box with it. 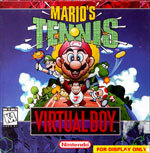 In North America, Mario Tennis was a pack-in game with the Virtual Boy hardware and did not come with a game box. So the only place you could find a box was a rental place or store that had it for display purposes. Just as the title suggests, this game is just like traditional Tetris except you have to fit blocks stategically in three dimensions instead of the traditional two. T&E Soft developed the game for release in North America, but a Japanese version was planned under the name Polygo Block. 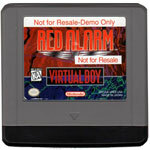 However, production halted due to the dying interest in Virtual Boy software. 3D Tetris was published by Nintendo was served as the final licensed release for the Virtual Boy. Strangley enough, there were two bowling games published for the Virtual Boy. Nester’s Funky Bowling was, however, the only one published in North America and is far more common than the Japanese Virtual Bowling release (and not quite as good of a bowling simulator). Since it was one of the last two Virtual Boy releases, it has a rather short print run leading to a relatively high price point. Hudson produced a number of great shmups over the years and they didn’t let the Virtual Boy die off without one. The game got pretty decent reviews. 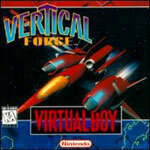 It stays true to the traditional shmup formula and making use of some of the Virtual Boy’s nifty 3D features. It wasn’t a very common release, so it is one of the tougher releases to track down for collectors. 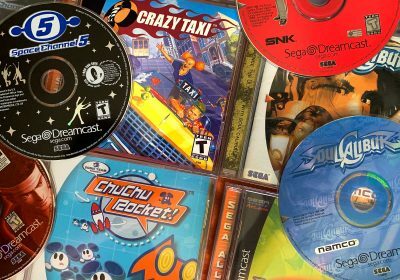 Since sealed games are becoming a larger part of video game collecting, here is a sampleing of sealed games that have sold successful on eBay is the past few months. Not looking to sell, but I am curious about two VB games I have. One is the Japanese release of Vertical Force, the other a Japanese release of Kemco Baseball ’95. Are they worth any scratch for being a Japanese release? They are worth maybe $20 to $30 a pop if you have the boxes. the Gundam game just recently got an english patch. Man I wish I still had my virtual boy and all it’s games. Also a spelling error in 5th sentence (may instead of many). In Japan, each of those titles boxed it worth… $5-20, depending on where you find it. It would not be hard to find them for dirt cheap. To import, of course a bit more. Back in ’95, I played Mario Tennis for 5 seconds and never played it again. That was when Blockbuster Video had the Virtual Boy for Demo. I was wondering if you could tell me how much my games and gameboy are worth, Game names…..Joe And mac, tetris, adventure island 2 aliens in paradise, we’re back a Dinosaur story, monopoly, bubble bobble part 2, the little mermaid, the bugs bunny 2 crazy castle, adventure island, kirbys pinball land, pugsleys scavenger hunt, pinball dreams, starwars and popeye 2. That would great if you could I’m looking to sell them and my gameboy. I have every virtual boy released in north america all with their boxes. Now I am trying to get the 4 rare japanese virtual boy games. your advice on the best way to sell it. 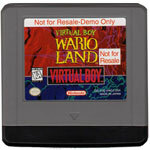 Do you think they could make Virtual Boy games work well on the 3DS as a virtual console?